It's not uncommon to purchase a T-shirt in the United States and discover it was made in Malaysia, Vietnam or some other distant nation. Delivering that article of clothing to the North American market was a complex endeavor in and of itself. In addition, procuring the materials required to manufacture the product wasn't necessarily an easy task. 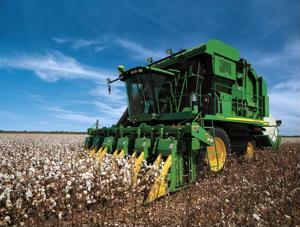 How and under what conditions does Prospect A grow its cotton? What alternative distribution routes can be utilized in the event that primary logistics are disrupted? Are there any political or sociological issues that may negatively impact operations? How will future policies and government practices affect commerce? Can any other unacknowledged companies and/or nations provide the same convenience as entities that are initially considered? The theme behind the aforementioned questions is networking. The more procurement options an apparel organization - or any other company engaged in global sourcing for that matter - can capitalize on, the less risk executives can expect to encounter. Apparel Magazine acknowledged the assertions of those speaking at American Apparel and Footwear Association's International Sourcing, Customs & Logistics Integration Conference in Washington, D.C., last April. PvH's Chief Supply Chain Officer William McRaith cited the logistics woes many brands experienced as a result of the spike in cotton prices and strikes at ports on the U.S. West Coast. He maintained that executives who assigned enough attention to the procurement process managed to curtail the impact of these disruptions. Although careful consideration of logistics is an essential part of mitigating risk, not enough can be said about the benefits of employing flexibility. At the American Apparel Conference, Rocky Brands Senior Vice President and General Manager of Supply Operations Michael Walker asserted that brands shouldn't burn their bridges. He noted his company's move to the largely untapped African market after originally sourcing materials from Mexico. Still, Rocky Brands maintains connections with numerous companies headquartered south of the U.S. border. "There are 11,000 footwear manufacturers in Mexico and we've tried half of them," said Walker, as quoted by the source. Although establishing thousands of supplier relationships is a best practice, how do enterprises expect to manage these connections? In addition, how can they scrutinize the practices of every raw materials source with which they conduct business? E-procurement and data analysis appear to be the answer. According to a separate Apparel article, clothing brands need an avenue through which they can aggregate information in real time and identify patterns that may signal disruptions before they occur. Why not leverage analytics tools after shipments occur? Essentially, if organizations assess "dated" information, they won't be able to respond to situations in a manner that is conducive to ultimately satisfying consumers demanding fast service. Imagine having the ability to receive metrics of all production operations in real time, recognize a detrimental trend persisting in a single facility and then order the factory to adjust its process appropriately. These realizations aren't for a single user to benefit from, either. One way in which positive supplier relationships can be fostered is by sharing statistical analysis with fabric producers, cotton growers and other sources. If a business isn't aware of current manufacturing statuses, its own operations may suffer, which could cause its leader to place the blame on those procuring its goods. E-procurement platforms enable enterprises to manage connections, scrutinize activity and sanction processes all from a central hub or multiple locations. This level of operational flexibility is what's needed for modern apparel brands to survive.